Øyvind Holm - "The Vanishing Act"
There are few contemporary bands that capture the songcraft and magic of the Beatles like Norwegian band Dipsomaniacs (see AI #'s 22 & 27). Band leader Øyvind Holm now steps out with a solo album, which technically isn't his first time because the first Dipsomaniacs album, Bumble-Bee Eyes, was essentially a Holm solo album, only later recruiting additional musicians to create a band. The album begins hot and heavy with "Salt-Mutated Summer Breeze", a killer blend of pop song and tight-as-a-knot hard rock. The number of themes and transitions experienced in a mere 3+ minutes is stunning. "Cut Me Loose" is another highlight that transitions between acoustic flow, harder edged rocking sections, and I love the boogie woogie grooves the piano injects into the song. "Sunday Church Bells Chime" recalls the Beatles more acoustic based rock moments. "(A Good Taste of) Everything" is like a newly discovered John Lennon song. I love the country and folk inspired pop feel of "Neighborhood Watch Patrol". And the amazing title track brings together elements of Holm's trademark 60's influences and modern rock. The CD is a relatively short 36 minutes but the 10 songs that make up the set are indeed treasures. A big part of the magic lies in the combination of otherworldly songwriting, impeccable 60's styled vocals and detailed attention to production. I don't see George Martin's name in the credits but I half expected to. Anyone who appreciates skillfully written and executed pop songs with a psychedelic flair can't help but be captivated by these gems. And for someone whose native language isn't English, Holm's mastery of the tongue is well evidenced in the lyrics. If this guy had hit the scene about 35 years ago he would have been a star for sure. 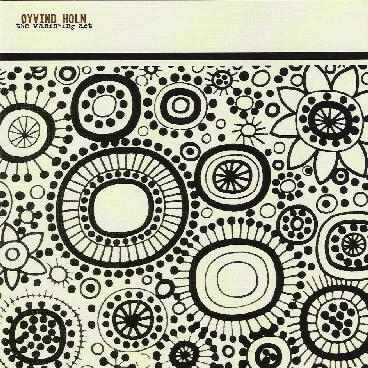 For more information you can visit the Øyvind Holm web site at: http://www.oyvindholm.com. Visit the Dipsomaniacs web site at: http://www.dipsomaniacs.com. The Vanishing Act is distributed by Camera Obscura. You can visit their web site at: http://www.cameraobscura.com.au.